Is It True To Say That ‘We Are What We Eat’? Posted by 10/12/2013 Comments Off on Is It True To Say That ‘We Are What We Eat’? Most people know that carrots (which contain high levels of carotenoids) are good for your eyesight. I once saw an advertisement for a nutritional supplement to help your eyesight. The ad stated that to obtain the equivalent of four of their capsules, the daily requirement, you would need to eat more than 350 baby carrots. Yet it seems inconceivable that the human body would require this amount of intake in order to have good eyesight. Which raises the question as to why nutritional supplement manufacturers have made their capsules so potent. Perhaps they notice that people who eat an average amount of carrots in a day still have vision problems and conclude that, without the use of supplements, we cannot eat enough to meet our nutritional needs. But rather than indicating a lack of adequate nutritional intake (whether through food or dietary supplements), the problem may be one of inadequate absorption. And if there is a problem in the efficiency of the body’s absorption of nutrients, then we will have to consume more nutrients than we would normally need (the solution of the dietary supplement industry). But even this may not be enough. The assumption that the more you get, the more you will absorb, may be like watering your lawn on a hot, dry, windy day. With most of this extra water being lost to evaporation, the lawn may still not receive an adequate amount. 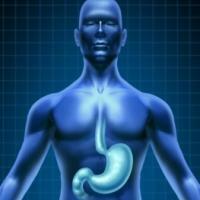 When it comes to nutrition, whether you are taking supplements or not, you want to ensure that your digestive system is able to efficiently absorb these nutrients. So rather than thinking ‘we are what we eat’, it may be more accurate to say ‘we are what our body does with what we eat’. Chiropractic is intended to keep your entire body, including your digestive system, functioning at its maximum potential by removing interference in the nervous system that may impair digestive functioning, as well as any other bodily function.